Drizzle Fit Coils are compatible with the Vaporesso Drizzle Fit. There are two resistance options, 1.3ohm and 1.4ohm, both great for MTL vaping with nic salts. The Drizzle Fit Coils create bigger clouds then standard coils and have been designed to provide pure flavor and a smooth hit. Drizzle Fit Coils come in a pack of 5. Explore the Drizzle Fit starter kit from Vaporesso, an intelligent vape kit designed for high nicotine satisfaction. The compatible EUC CCELL Coils vaporize juices more efficiently, giving you purer flavors and a smoother feel. The Drizzle Fit Tank features an easy top fill system and has a tank capacity of 1.8ml, as well as a top airflow system to prevent leakage. With the intelligent OMNI Board Mini powering the Drizzle Fit, you have multiple protections against burn, overtime, overcharge, short circuits, and other common problems. The built-in 140mAh battery charges in 1.2 hours with Vaporesso's quick charge feature and has a micro-USB port for easy charging. 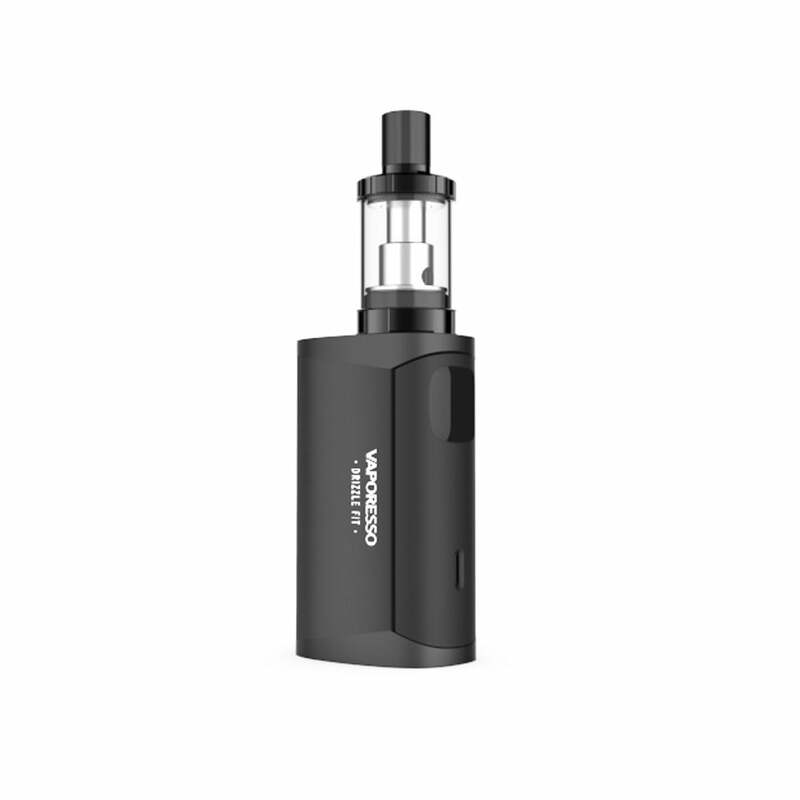 Choose from 3 power modes, 13W, 9W, and 7 W.
Vaporesso's intelligent Omni Board Mini will also recognize your coil resistance and intelligently adjust your Drizzle Fit's wattage (up to 40W), allowing you to vape DTL with the appropriate tanks and coils. The parts are getting stuck and I have already threw the product away. Love the small design, fits perfectly in your hand and delivers the perfect amount of vape. Excellent vape!